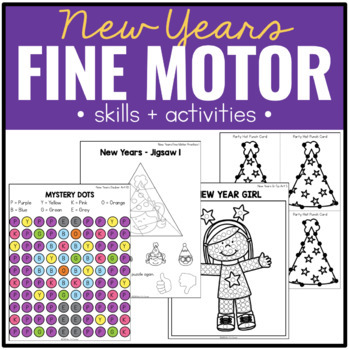 • Save money, buy the BUNDLE • New Years • Fine Motor Skills and Activities • Strengthen hand and finger muscles with this set of fine motor practice activities. 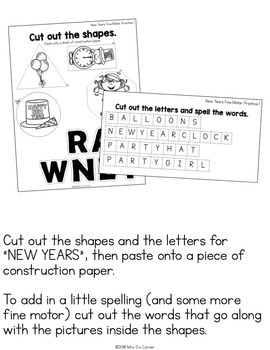 Set your students up for success with multiple centers by using this themed Fine Motor Skills and Activities set for New Years. 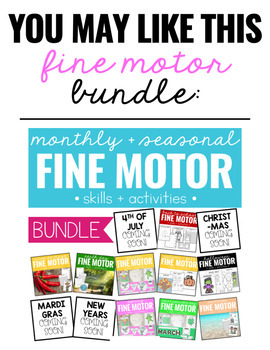 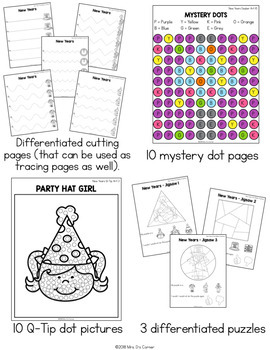 What activities are included in this Fine Motor Skills and Activities pack?